Growing up, I loved practicing my penmanship. I would obsess on whatever letter of the alphabet needed improving. If I saw someone's handwritten D that was waaay cooler than mine, I would practice over and over until I got it like theirs. I had pages of letters in my notebook. Even now, I geek out at the thought of lined paper, or graph paper. All those lines just waiting to be filled! I love the lettering craze going on right now. The options are almost overwhelming. It's like being in a library full of your favorite authors and trying to pick one book! Needless to say I've already read through Creative Lettering and Beyond once and tried some of the techniques. I may share my progress later as I go along. 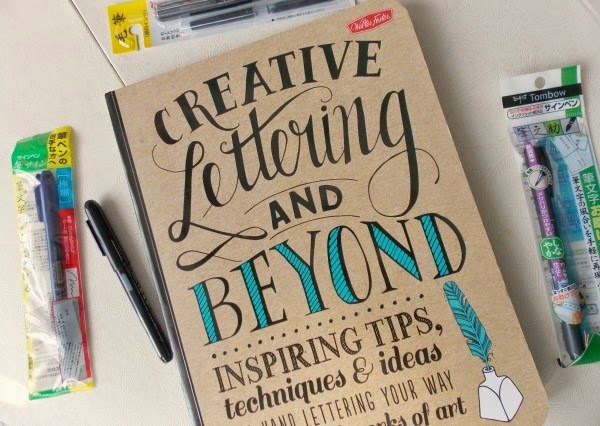 Do you love lettering? Have you tried your hand at any fancy techniques like calligraphy? What's your favorite style?